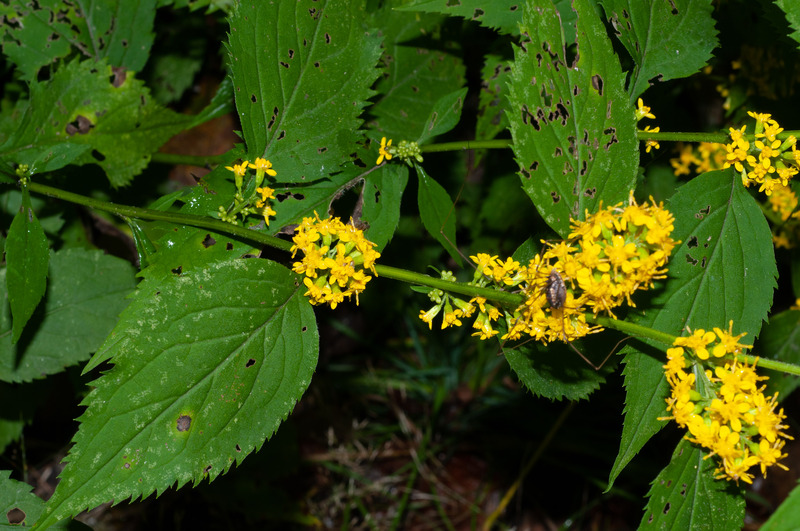 These goldenrods are native to eastern North America. 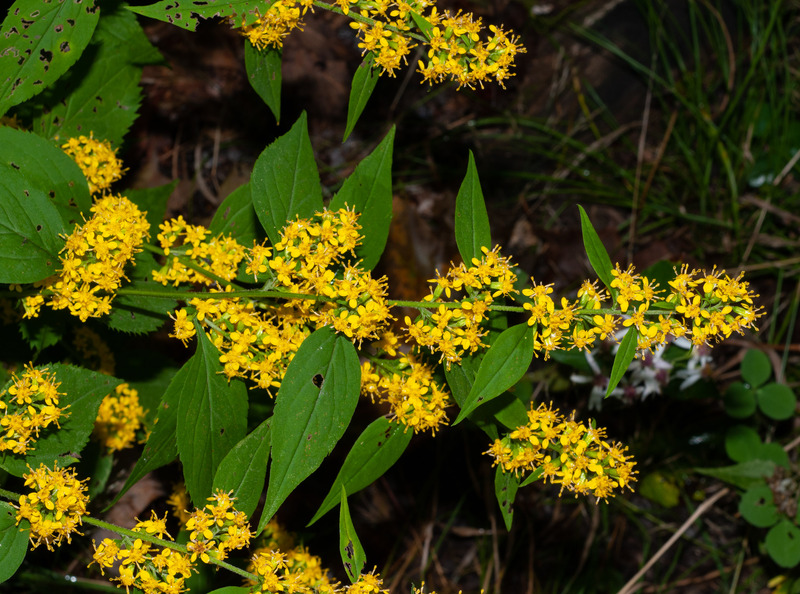 For a comparison chart of some of the varieties of goldenrods, see Solidago. 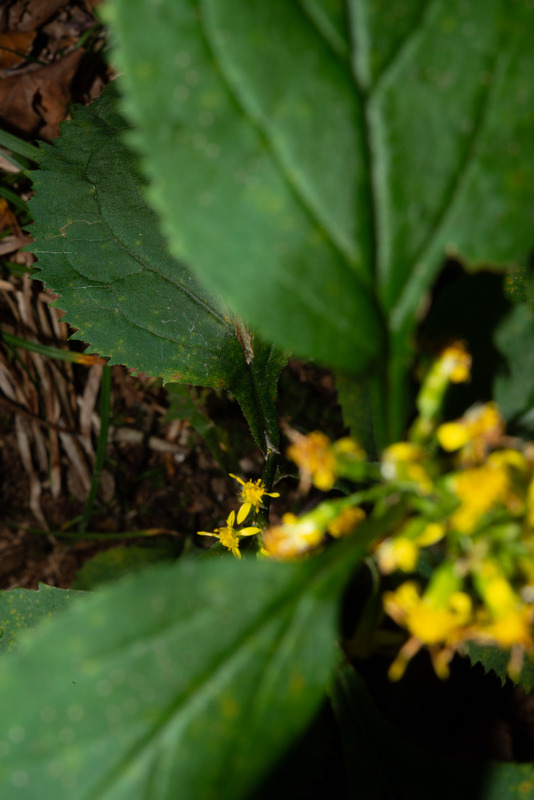 Identification: Plants are 24-48" (60-121 cm) tall, usually unbranched. Stems tend to be mildly zig-zagged in shape, light green, and mostly smooth. Leaves are alternate, oval, with coarse teeth, 2-5" (5-12 cm) × 1-4" (2.5-10 cm). Leaf petioles (stems) are ¼-1½" (6.3-38 mm) long. 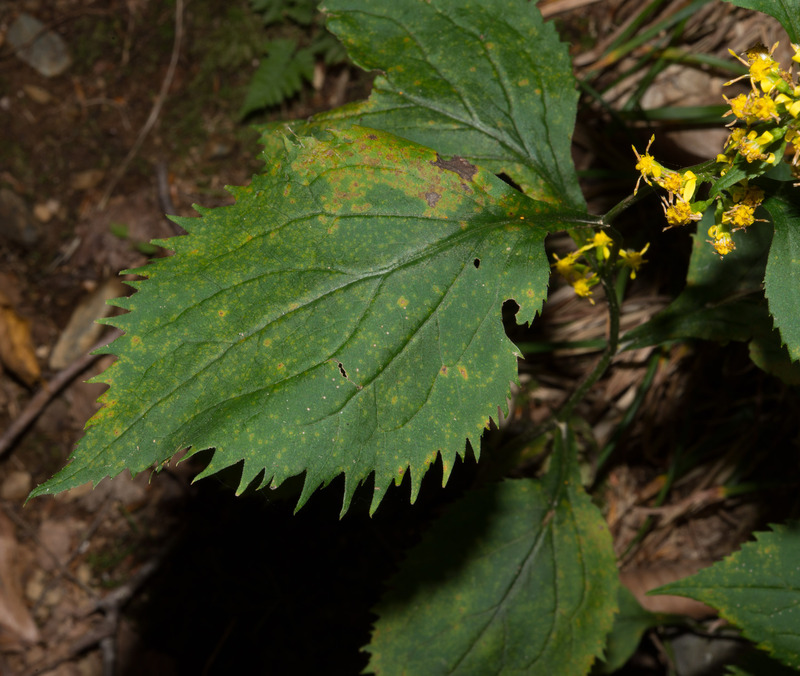 The leaves narrow quickly at the base, leaving little “wings” on the petiole. In addition to a flowerhead at the tip of the stem, which is up to 5" (12 cm) long, there are smaller racemes along the upper portion of the stem. 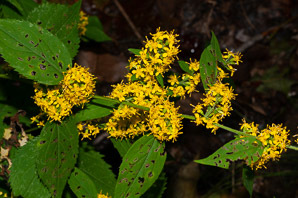 Individual flowers are about ¼" (6.3 mm) around. Blooms from July to October. 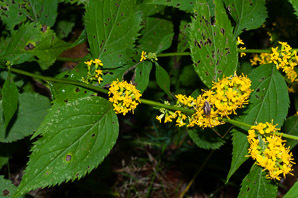 Most goldenrods need a lot of sun, but these tolerate partial sun or shade. 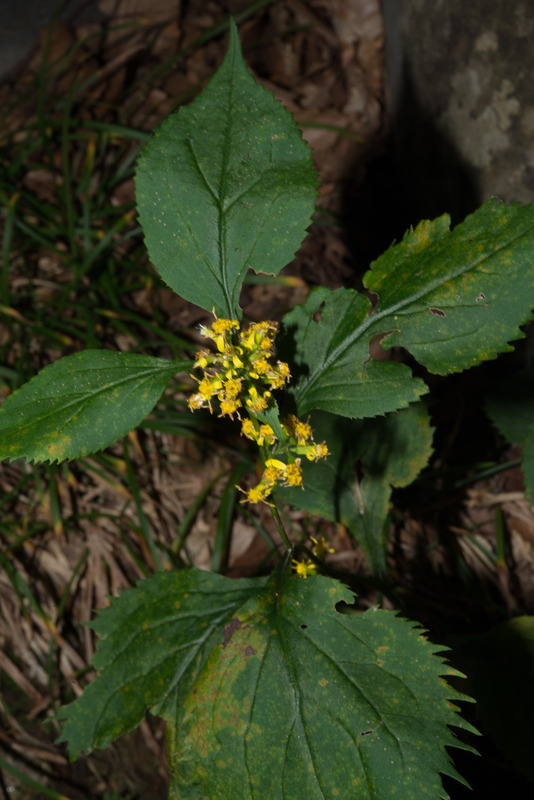 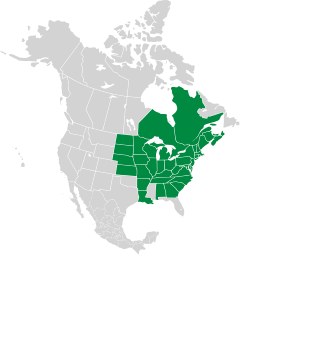 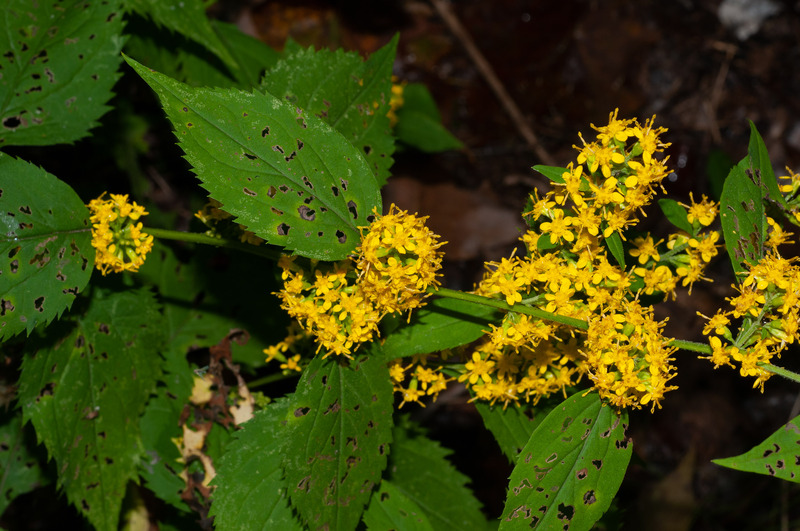 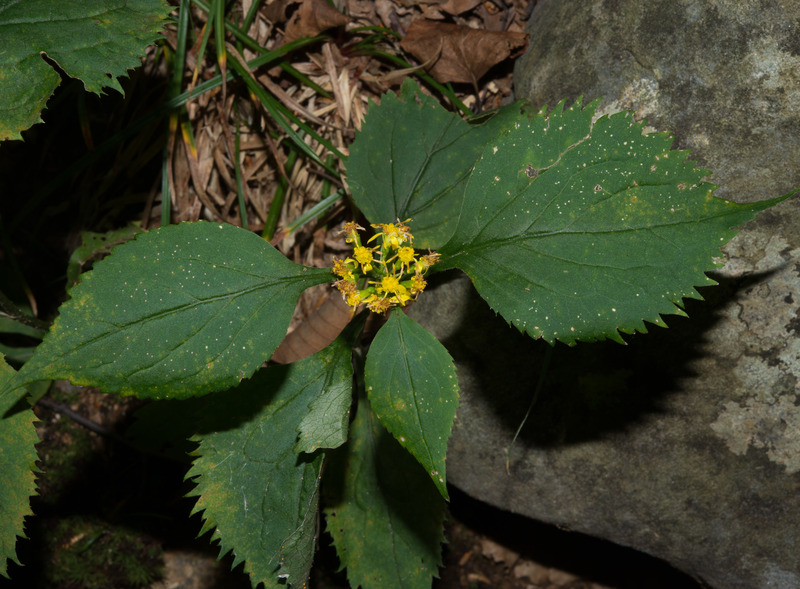 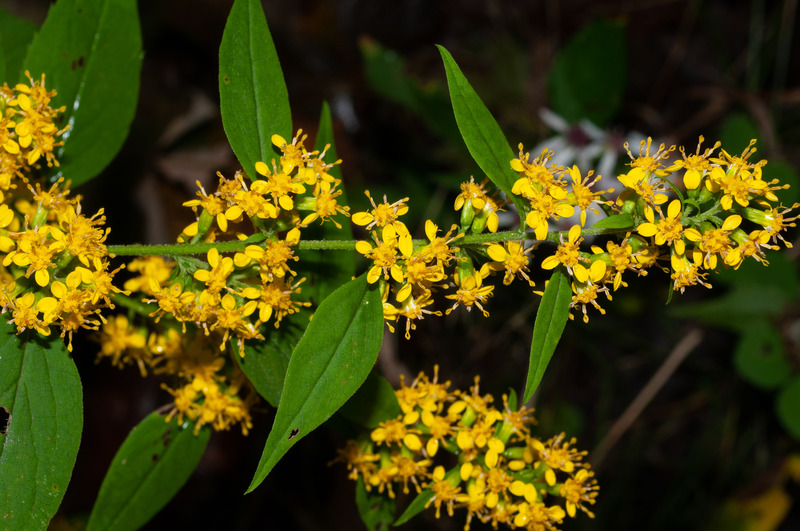 Solidago flexicaulis description by Thomas H. Kent, last updated 2 Jan 2019.